How Many Carbs Are in a Low-Carb Diet? If you're trying to lose weight by going on a low carb diet, you've got a tough battle ahead of you. Why? Because the typical American diet is made up primarily of carbohydrates. Trying to reduce the largest source of calories in your diet can be a challenge. In addition, it's hard to know how many carbs are in a low carb diet. The answer can be tricky. There is no official definition for a low carbohydrate or "low carb" diet. That means that there is no official number of carbohydrate grams in a low carb diet. Weight loss programs that restrict or require you to count carbohydrates are usually called low-carb diets. Current dietary guidelines suggest that we consume 40 to 60 percent of our daily calories from carbohydrates. So if you consume 1500 calories per day, you would eat 600 to 900 carbohydrate calories or 150 to 225 grams of carbohydrate each day to meet that guideline. Technically, anything below that could be considered a low carbohydrate diet. Some diets are very low in carbohydrate. The ketogenic diet, commonly called a "keto diet" is the lowest carbohydrate eating plan. On the program, you consume most (usually 90 percent) of your calories from fat and the rest from protein and carbs. The diet is sometimes prescribed by physicians to manage seizure disorders, but some dieters are able to lose weight on the program. How Many Carbs Are in a Low Carb Diet? Most low carbohydrate diets that you see advertised online or in magazines recommend that you limit your carb intake far below the guidelines recommended by the government. And when you see headlines about low carbohydrate diets in the news, the low carb diets studied are often much lower in carbohydrates as well. 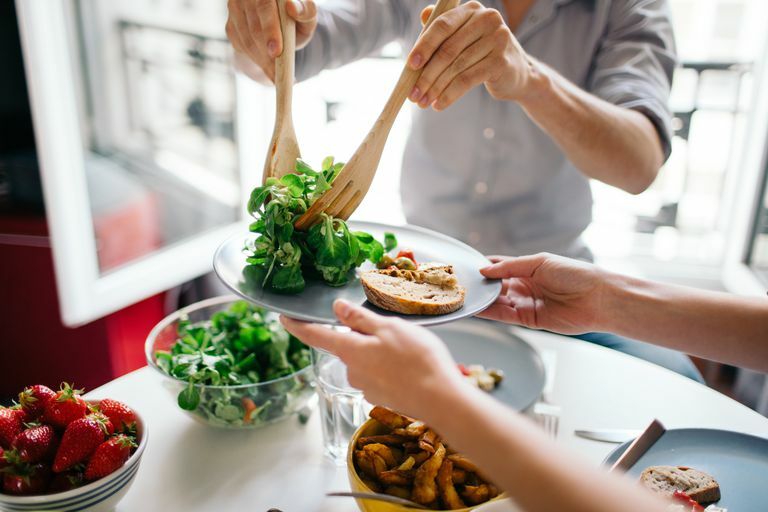 In one large study of diets, for example, researchers defined a low carbohydrate diet as any diet that allowed a maximum intake of 60 grams of carbohydrates per day. While another recent study defined a low carbohydrate diet as less than 40 grams per day. Confused? You're not alone. I asked nutrition expert Marie Spano, MS, RD, CSCS, CSSD to explain the low carb confusion in simple terms. "There is no universal definition of a low carbohydrate diet. Instead, a low carbohydrate diet is sometimes defined by the amount of carbohydrate grams consumed and other times it’s considered as a percent of overall calorie intake. I generally define a low carbohydrate diet as one that contains 20 - 70 grams of carbohydrate per day. A very low carbohydrate diet contains less than 20 grams per day." If you decide to count carbs to lose weight, make sure you count them correctly. Remember that there is a difference between grams of carbohydrates and calories from carbohydrates. On the Nutrition Facts label, food manufacturers are required to list the grams of carbohydrate in their product. Each gram of carbohydrate provides 4 calories of energy. So a food that contains 15 grams of carbohydrate will provide your body with 60 calories from carbs. And if you are serious about losing weight, you'll want to monitor your intake of good carbs and bad carbs, as well. Some weight loss programs, like the popular Atkins program, help dieters choose better carbs by teaching dieters how to count net carbs. Regardless of which plan you choose, try to limit your intake of refined carbohydrates, sugary beverages, and sweets. Instead, get your carbohydrate calories from fibrous vegetables and whole grains for best results. Should You Reduce Carbs Gradually on a Low-Carb Diet? Does Soy Milk Jive With a Low-Carb Diet?